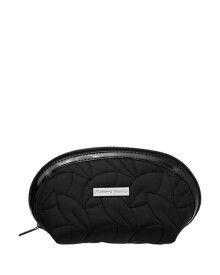 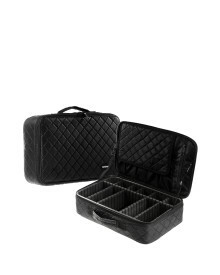 Professional Makeup Bag with Mirror that's ideal for traveling. 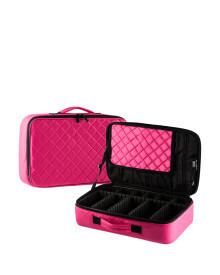 When you want to travel and need to bring all your makeup needs but you don't feel like bringing a Makeup Case because it's too heavy, then this is the perfect traveling companion for you. 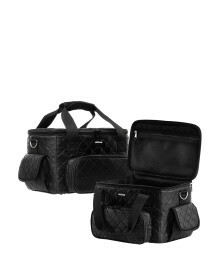 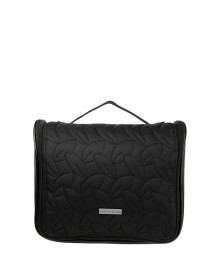 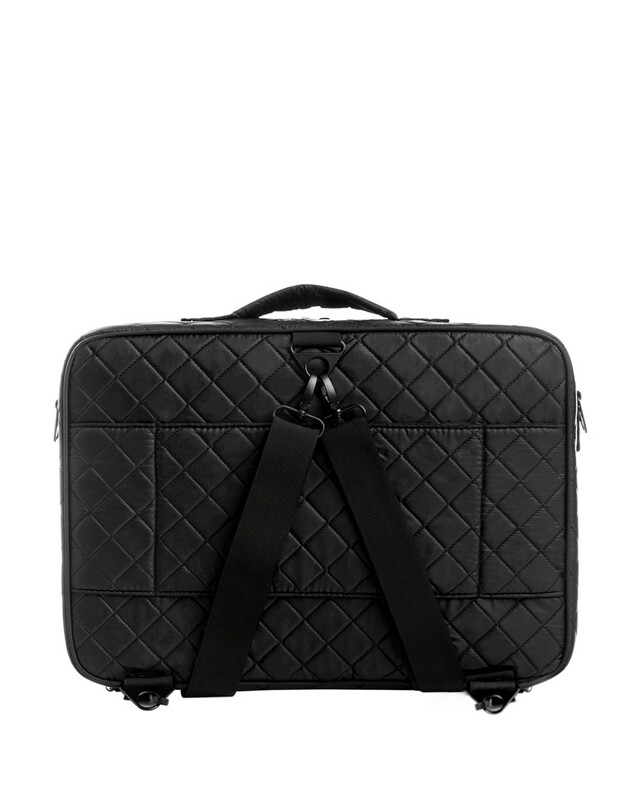 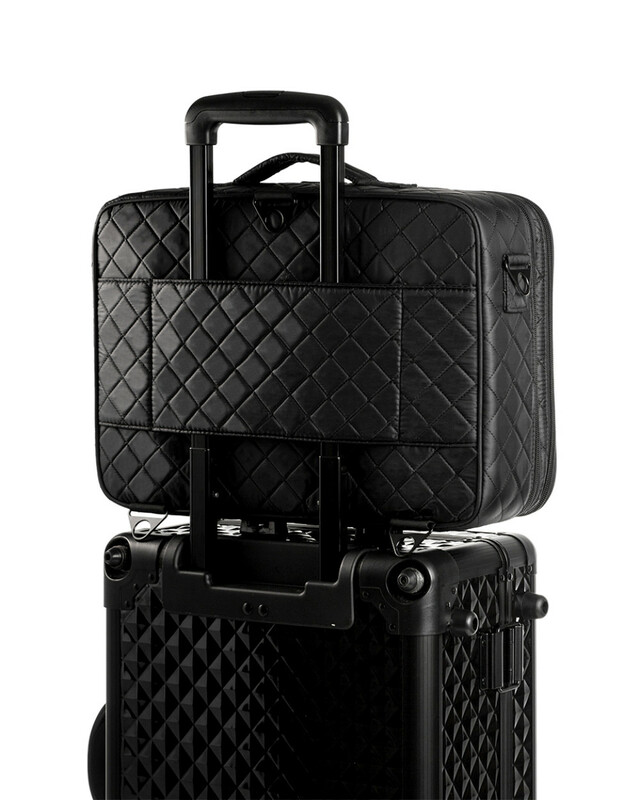 This bag is designed specially to meet your needs while travelling with makeup. 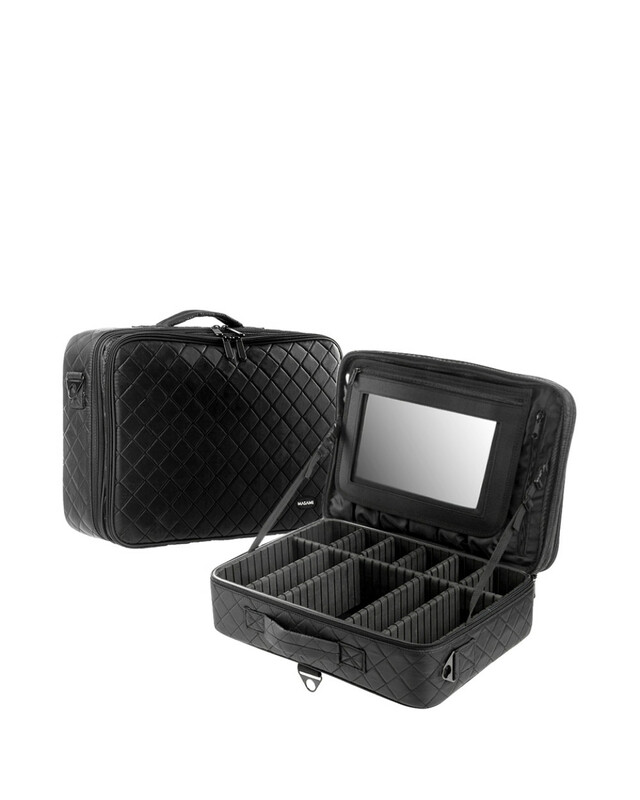 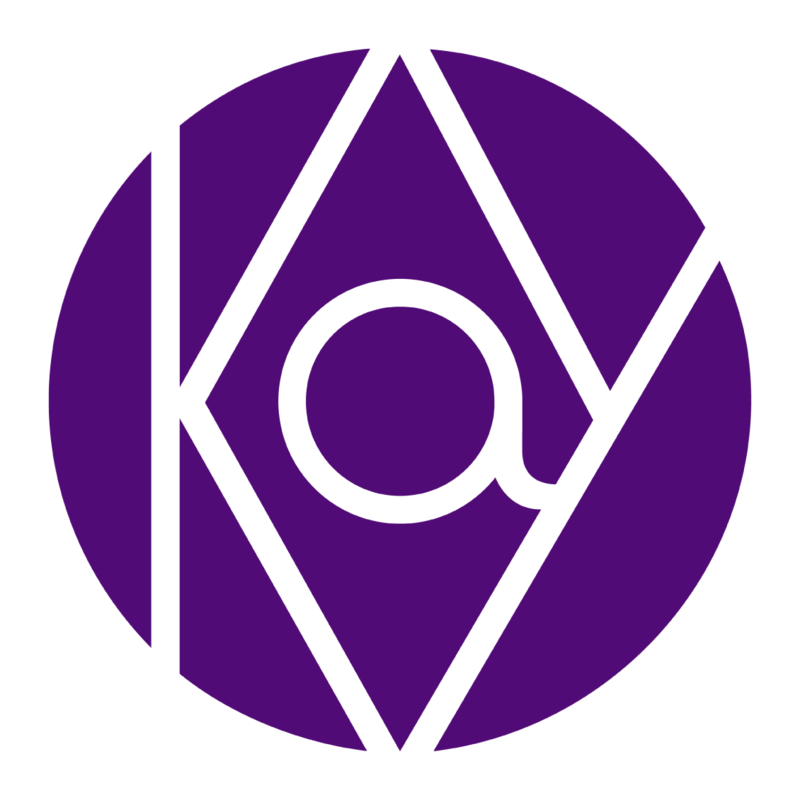 Not only it comes with a removable compartment with adjustable partitions, it also comes with a mirror (plus it's pouch that can be used to cover your tablet) and a heat protector pouch for your hair straightener. 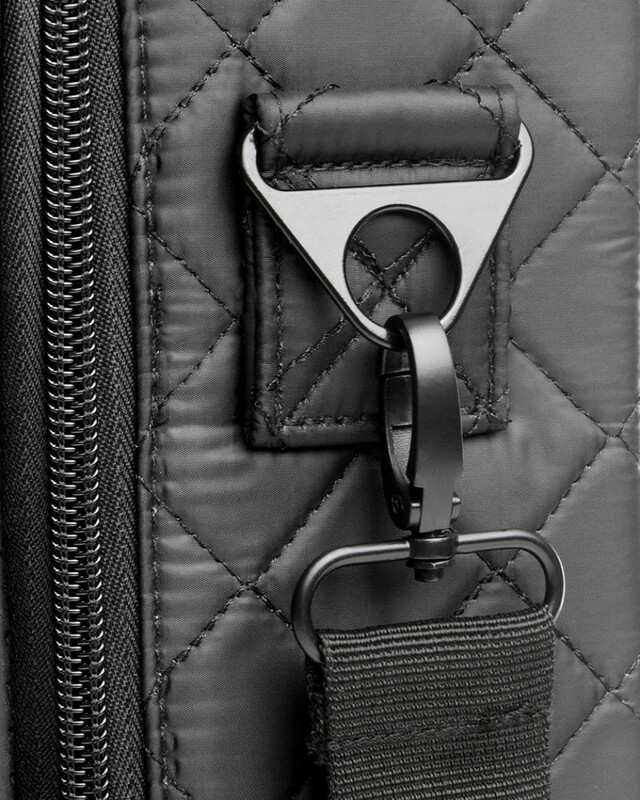 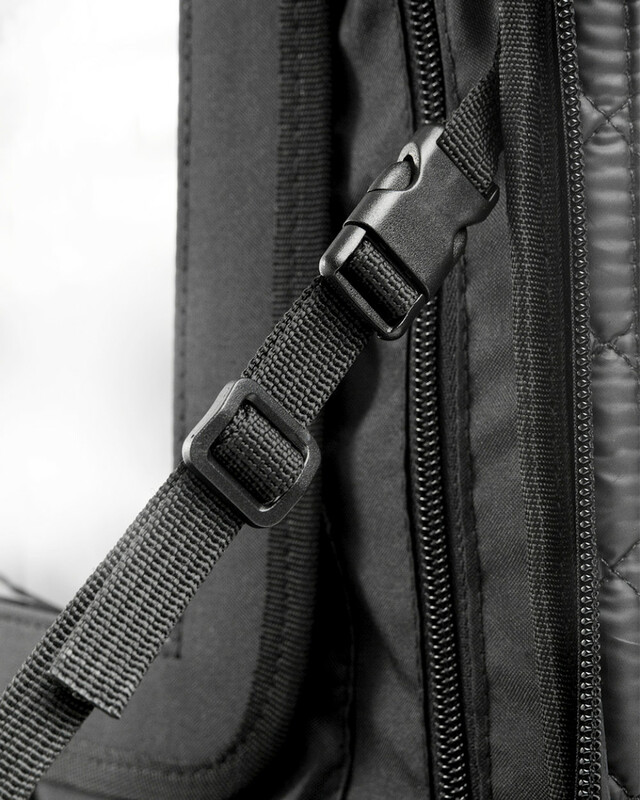 With extra removable straps, this bag is able to be used either as a shoulder bag or backpack. 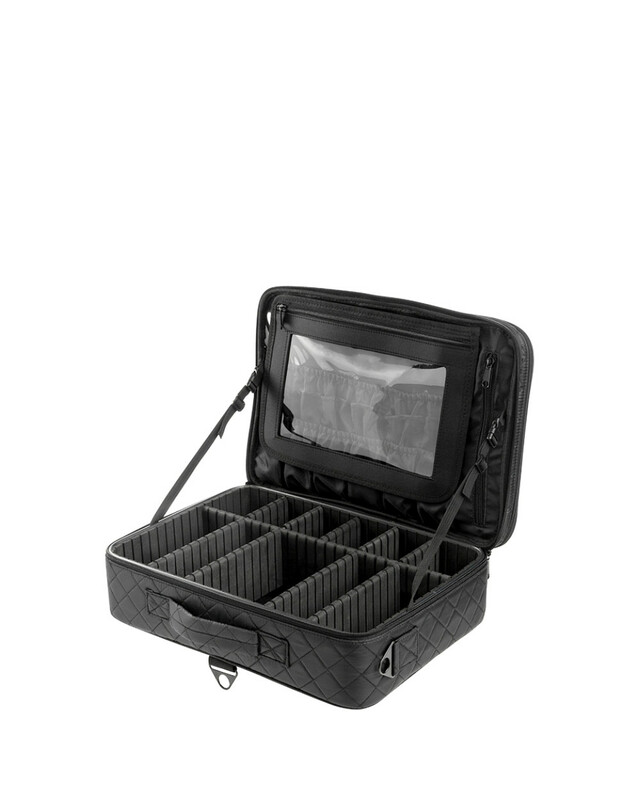 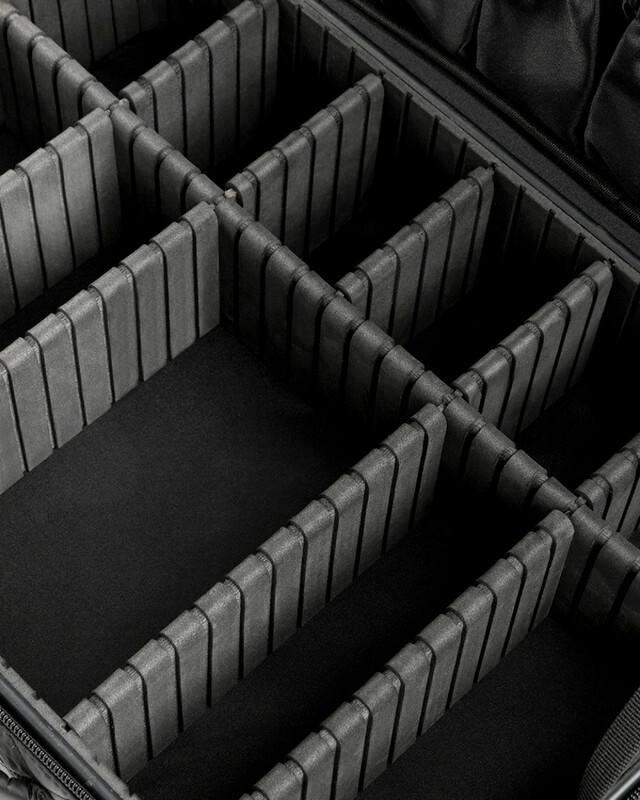 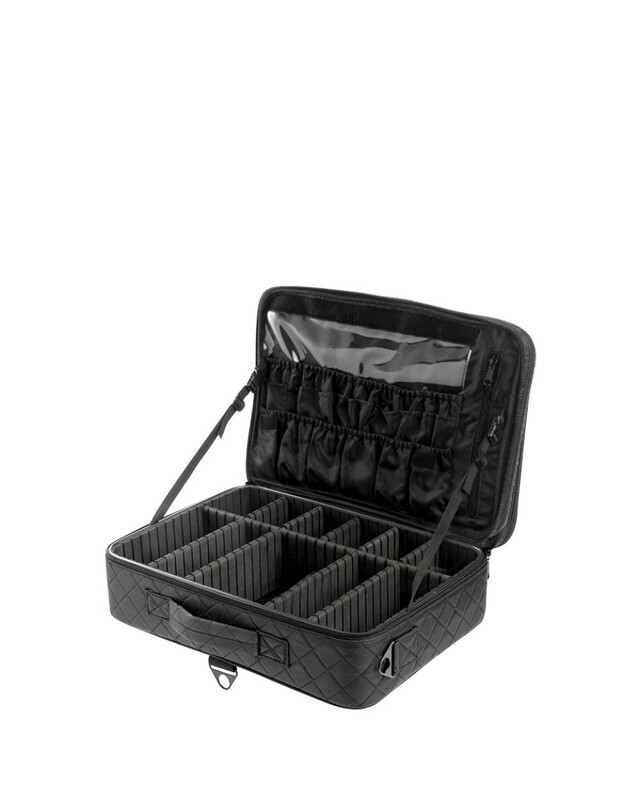 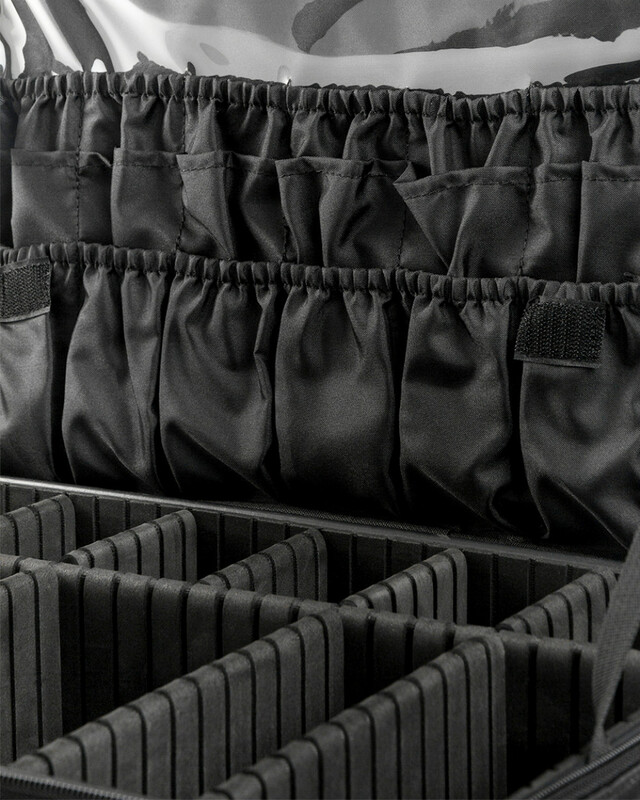 • 18 pieces compartment for brushes with transparent cover.